Electric security gates are a great way to keep your family and property properly protected from outside intrusions while ensuring that your needs for convenience are properly met, with regards to coming and going, as well as monitoring foot-traffic through your home. But the better care you take of them, the more likely they are to do their job properly, and for a longer time as well. Maintenance on your driveway gate should always be a priority in your home, so that you can ensure that it continues to protect you as it should. Neglecting proper upkeep on your gate will seriously shorten its lifespan and will heighten the chance of it failing unexpectedly, leading to a need for driveway gate repairs. So, ensure that you conduct maintenance with the help of a technician at least once a year. 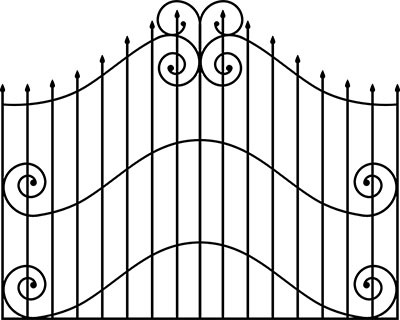 Many of the moving parts in your gate operate in such a way as to cause friction with one another. Overtime, this will lead to them wearing down, and while it can be helped with proper maintenance, can never truly be avoided. When these parts fail, they may cause your system to stop working, or worse may make it dangerous to use. So, to better protect yourself and your gate, be sure to replace and broken parts as soon as they are needed. 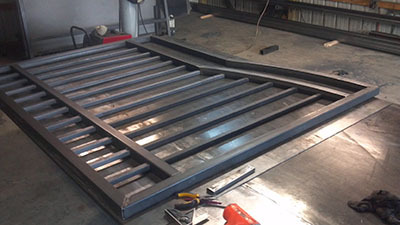 The gate itself is made from materials such as wood, steel or iron which will take damage overtime, either from accidents or the harmful effects of harsh weather. To ensure that you get the most out of them, take time to apply a protective coat of varnish on your gates to avoid the need for steel or wooden gate repairs.